Cesar Gutierrez is the executive sous-chef of Café Boulud, but a bright (culinary) future wasn’t always in the cards for the 26-year-old. Born in the Colombian coastal town of Buenaventura, Gutierrez moved to Queens at the age of 4. By the age of 12, he found himself “hanging out on the streets with the wrong people” and selling drugs — far from a path that would land him in a management position at a restaurant like this. By 16, he had been arrested, an experience Gutierrez says forced him to wake up. Starting off at Burger King, he worked his way up through the culinary world to his current position. 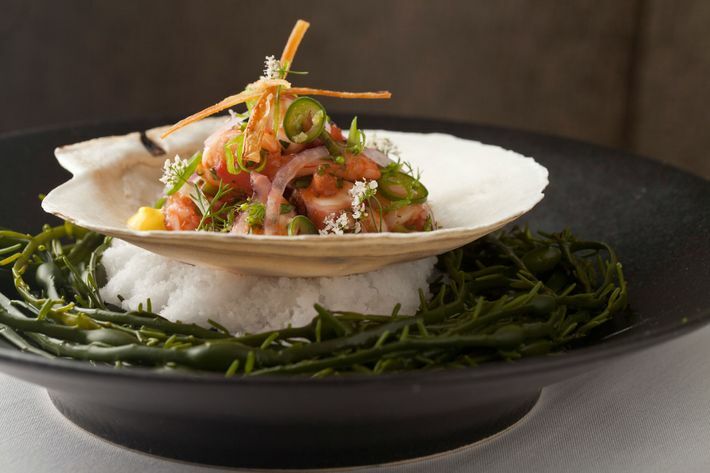 At a special sold-out dinner this Thursday, Café Boulud will introduce this summer’s Le Voyage menu: a series of Colombian dishes cooked by Gutierrez. Gutierrez’s path to Boulud’s Dinex restaurant group started when he dropped out of high school (“I was like, ‘I don’t want to make all of this up, I want to cook’”). He got his GED, then enrolled in Manhattan’s School of Cooperative Technical Education, where he was taught by his first mentor, Ed Serna. 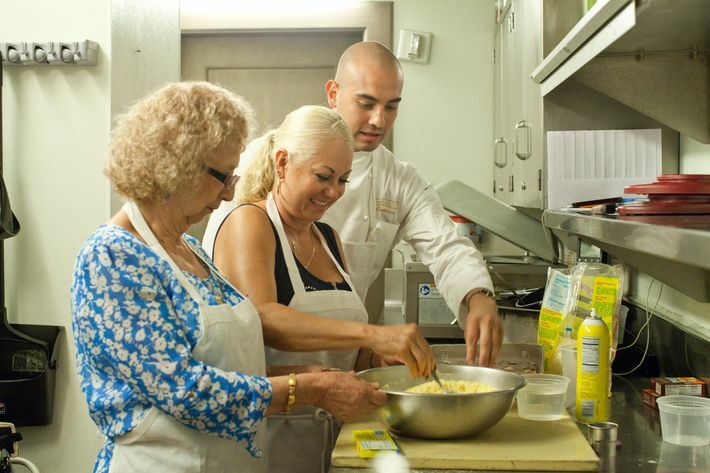 From there, he received an $18,000 scholarship to the French Culinary Institute through the Careers Through Culinary Arts and started working at BLT Prime in midtown. Gutierrez’s chef there, Chris Leahy, sent him for a stage at Café Boulud, and the young cook instantly realized he needed to work for the group. He pursued chef Jean-François Bruel, standing outside the restaurant every day for two weeks asking for a job, before a recommendation finally got him in the door at Daniel. Three years ago, while working as the executive sous-chef at Lexington Brass, Gutierrez won a scholarship sponsored by Boulud. 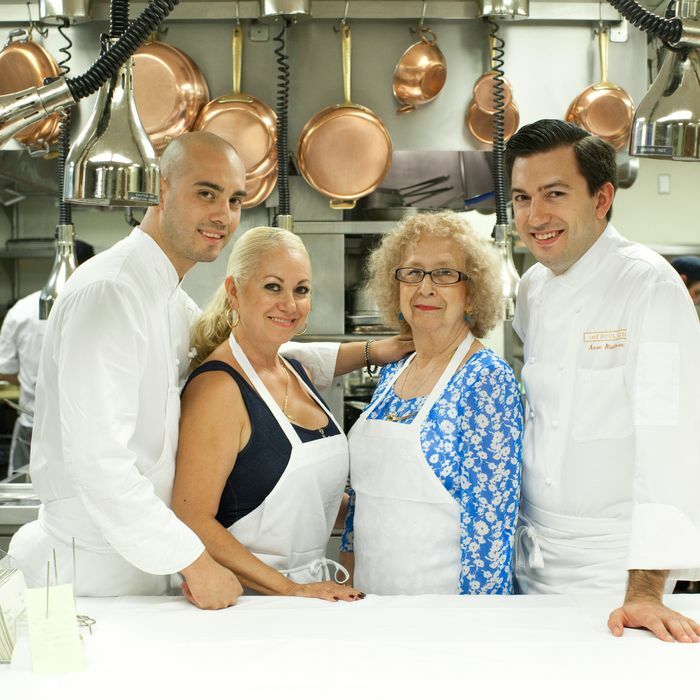 It gave him the opportunity to study for three months at the Institut Paul Bocuse in Lyon, and then he staged at a couple of restaurants in France, D.O.M. in Brazil, and Manresa in the San Francisco Bay Area. Boulud, for his part, believes the experience was instrumental in Gutierrez realizing how good he could be. 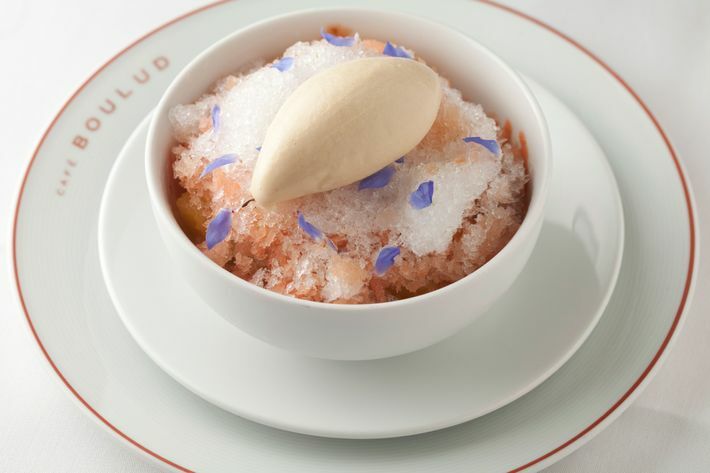 After the trip, he returned to Dinex, where he now works as the executive sous-chef of Café Boulud. 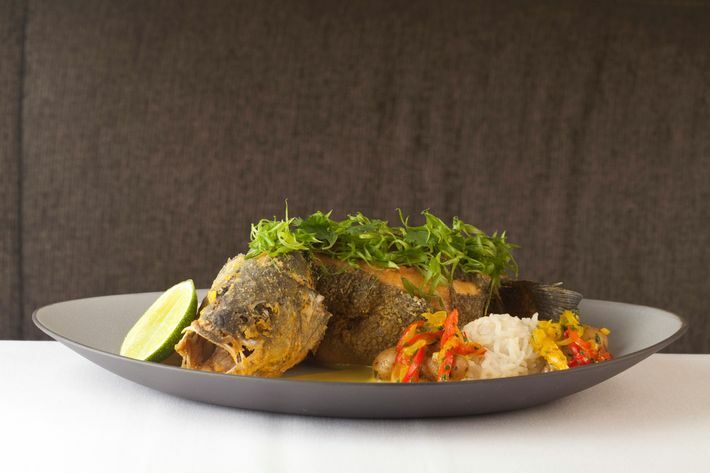 The second course is a deep-fried snapper, an ode to the chef’s family’s heritage along Colombia’s coast. It’s served with coconut rice seasoned with a typical blend of achiote, cumin, and garlic (“If you check any Colombian house, they’ll have it”); scallions; and Colombia’s indigenous papas criollas stewed with bell peppers and onions. 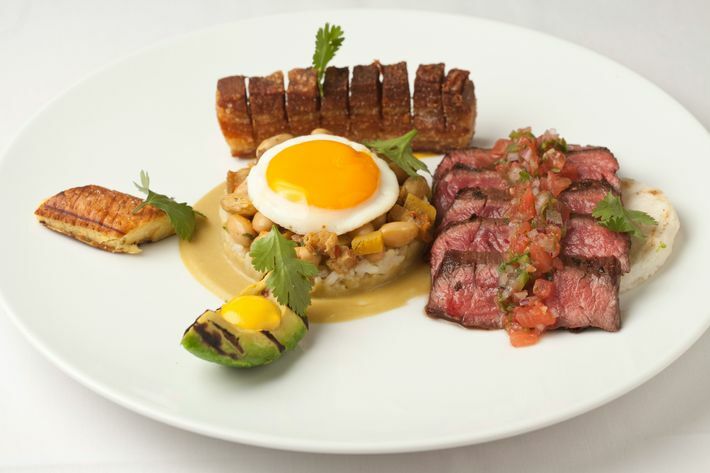 The final savory course will be bandeja paisa, one of Colombia’s typical meals. More platter than dish, it features grilled steak, fried pork belly, a Colombian-style arepa, avocado (grilled here), and rice and beans topped with an egg. Basically, you’re set. The cholada will incorporate tropical fruit in a guava granité, as well as pineapple, blackberry, and melon. It comes with coconut coquito and condensed-milk ice cream. The torta negra, available as a take-home gift the night of the dinner, will be served on the regular menu. 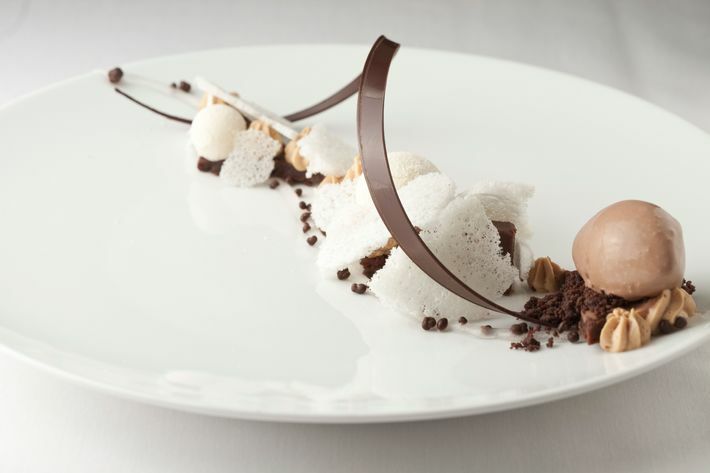 It’s made with a brownie, coffee ganache, coconut dulce mousse, and Luker chocolate ice cream.